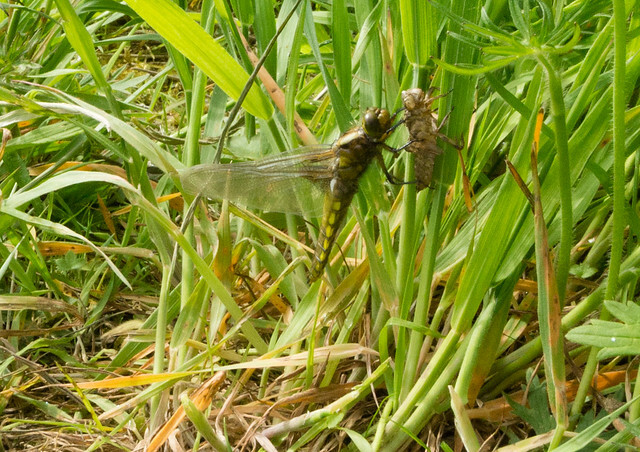 Last summer we were delighted when our newly made pond brought in damselflies and dragonflies. 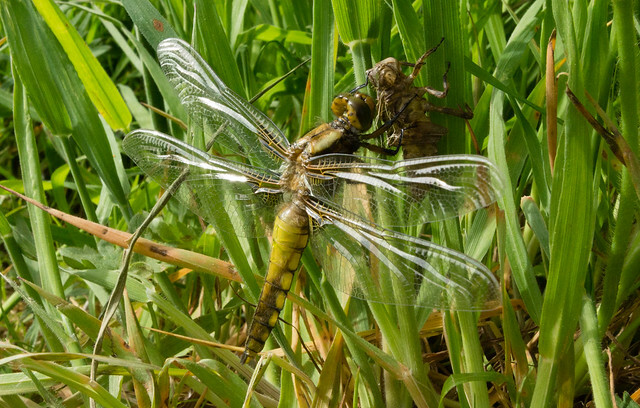 One of the most engaging was the Broad-bodied Chaser. 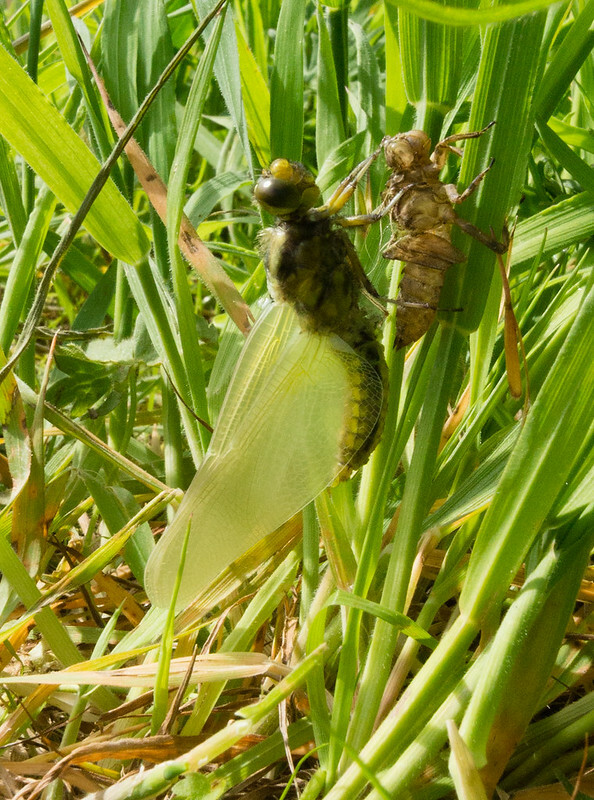 He had read the book which said “He regularly returns to the same perch after swift flights out across the water” as that is exactly what he did – adopting a horizontal twig on a hazel stump from which he did regular patrols round the pond. 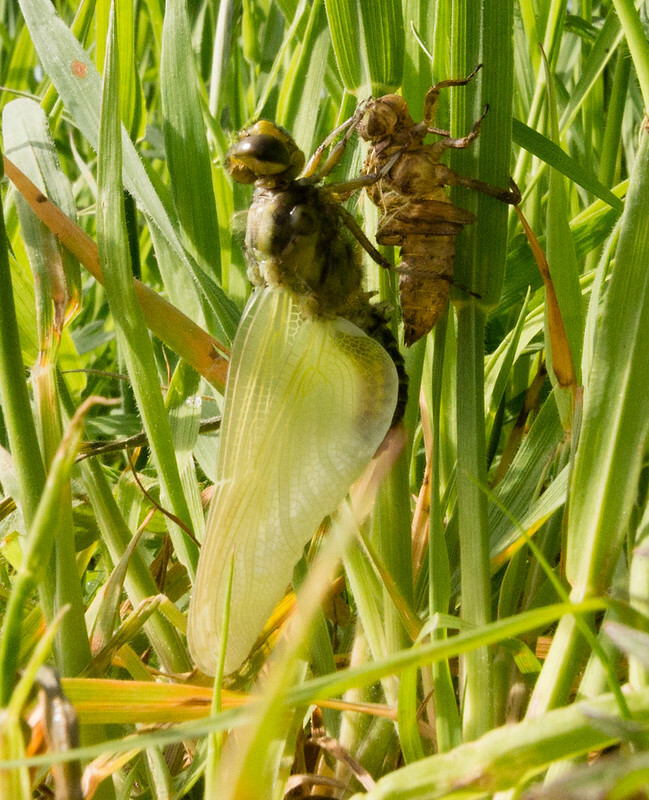 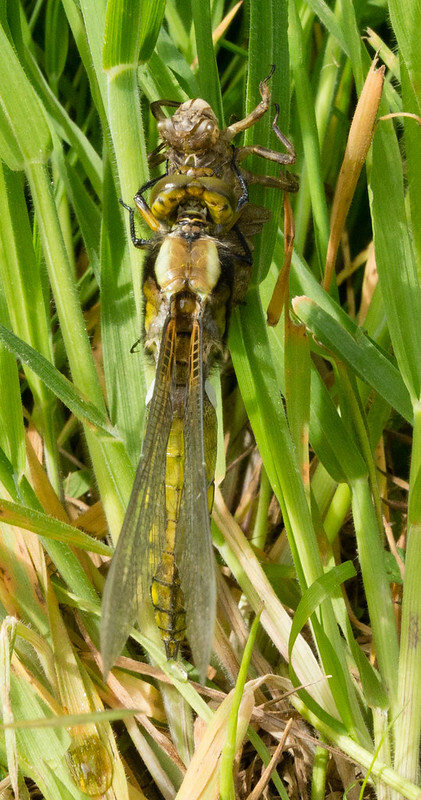 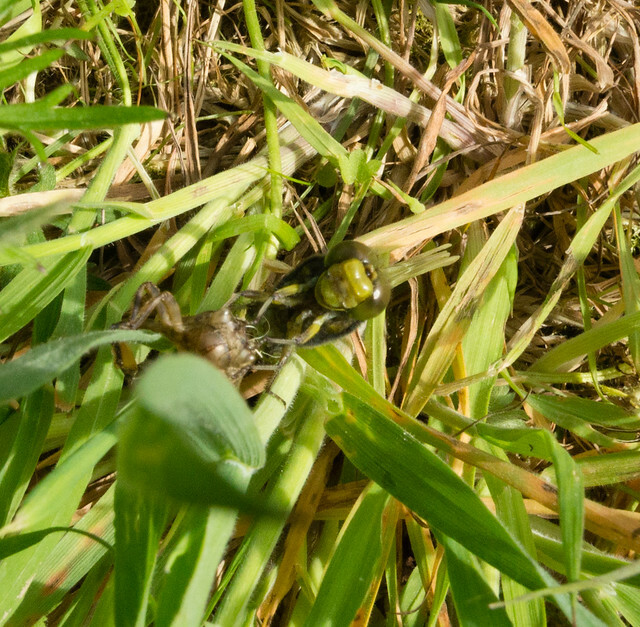 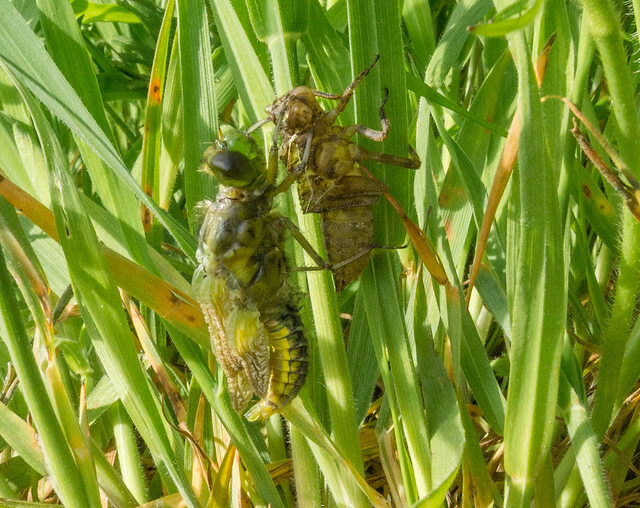 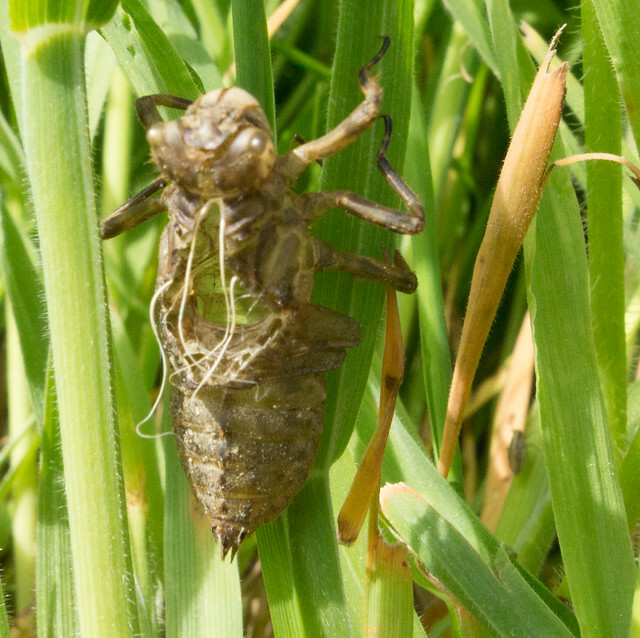 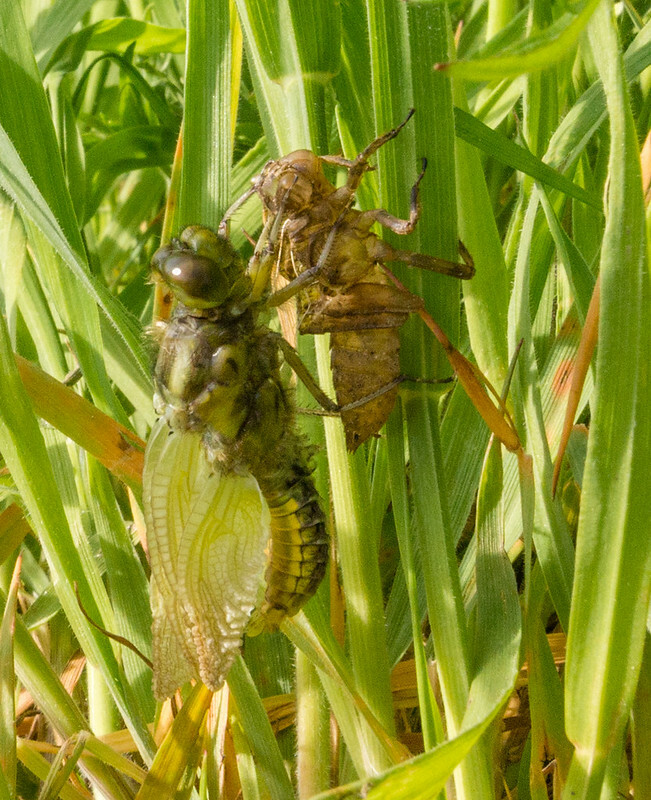 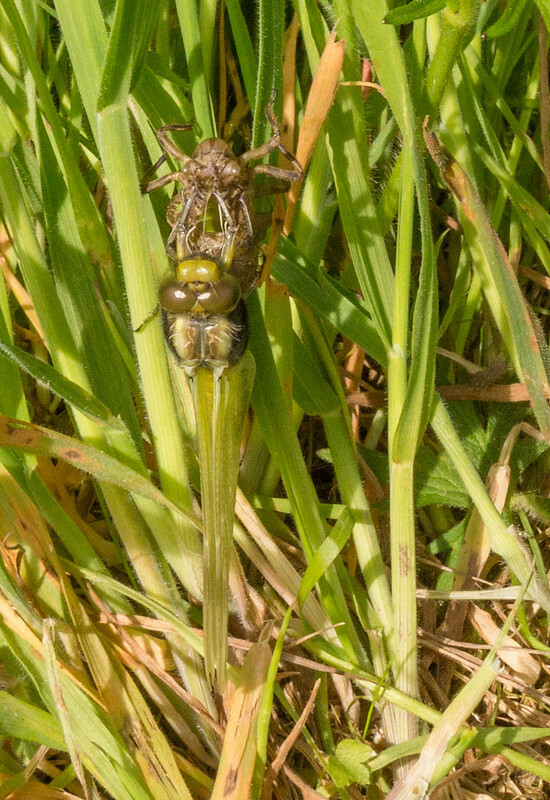 His residency must have included a successful relationship as today a nymph crawled from the water, for some reason traversed a meter or so of grass, before choosing a stalk for its metamorphosis.